(November 10, 2004) -- Following a November 9 closed session of the LB City Council agendized for the purpose of conferring with the City Manager regarding the price and terms of payment for a strip of land adjoining LB Airport at the southern end of the Boeing property west of Lakewood Blvd., City Attorney Bob Shannon spoke briefly with LBReport.com. No publicly reportable action was taken by the Council. A separate closed session item regarding anticipated litigation did not pertain to the Boeing property. The Boeing real property item related to a meeting that took place involving the City Attorney's office and the FAA. The agendized item related to a City of LB right of first refusal on the strip of land and the ramifications of this. Discussion did not go beyond this, City Attorney Shannon said. Unofficial rendering of the strip of land based on L.A. Assessor web site data. Conant St. is northern border of property strip. Airport property line, roughly midway between Conant St. and Monlaco Rd., is southern border of strip. LBReport.com offers the following as context based on what has previously been made public. The Douglas Park Environmental Impact Report (EIR) indicates Boeing Realty proposes to use the strip of land for "specific aviation-related uses...east of 3rd Street [western end of area] and south of A Street [aligns with Conant St. west of Lakewood Blvd. ]...These uses will primarily serve as an amenity to businesses at the project site and may include hangar space for corporate jets and maintenance 'A' checks." [A Boeing Realty representative] stated that the acreage that could be devoted to aviation uses is south of Conant Street and is the stretch along the southern part of the Boeing property, adjacent to Airport boundary, part of which is within the Boeing enclave for the B-717 and C-17 programs. He stated that 25 acres, not within that enclave, could be available immediately for aviation related uses to be developed as part of the project. 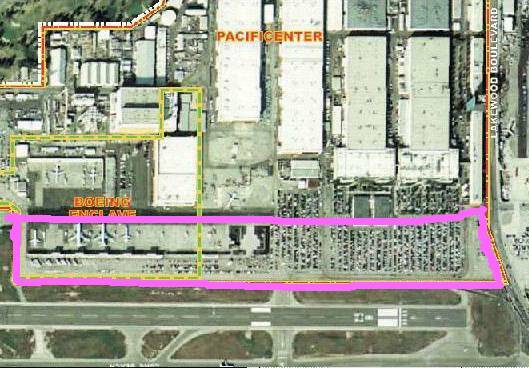 He stated that within the Boeing enclave, there is an additional 11 acres for a total of 36 acres within the City of Long Beach boundaries that could be developed as aviation related uses. He stated that the acreage could be used for a variety of uses beside aviation related uses, such as office, R&D, or light industrial. He stated that another site consisting of 22 acres that could be considered for aviation related uses is within the City of Lakewood. By letter dated September 22, 2004, the office of a high ranking FAA DC official informed a local third party that 1,400 residential units -- proposed by Boeing for the northern end of the project -- "would represent an incompatible land use." 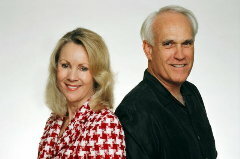 LBReport.com reported on the FAA correspondence after the third party referred to it in testimony to LB's Planning Commission. The FAA letter contends that as part of LB's Airport Improvement grant assurances, City Hall is required "to take action to restrict the use of land next to the airport to uses that are compatible with normal airport operations"...and indicates the FAA will be monitoring the planning process "to ensure the city's compliance with its Federal obligations." Assistant City Attorney Mike Mais and a representative of LB City Hall management, Amy Bodek, travelled to Washington, D.C. to confer with FAA officials on the Douglas Park project. At the request of Boeing Realty, a November 9 City Council hearing on the Douglas Park project was postponed. A Boeing Realty release said the compnay sought the postponement "so it may respond to an FAA inquiry about the project�s compatibility with the airport." The release quoted a company official who said "[b]ecause we are fully compatible with airport-related guidelines and regulations, we are confident that any remaining issues regarding Douglas Park�s residential neighborhoods will be resolved." The closed session item was agendized "for the purpose of a conference with the City's real property negotiator Gerald R. Miller, City Manager, and Boeing Realty Corporation concerning the price and terms of payment for portions of APN [Assessor Parcel Number] 7149-003-010, 7149-003-009, 7149-003-008 (generally in the area of Lakewood Boulevard and Conant Street)."